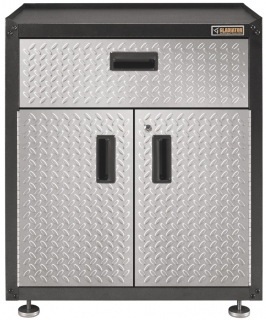 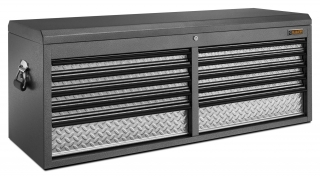 This heavy-duty steel cabinet is as tough as it looks. 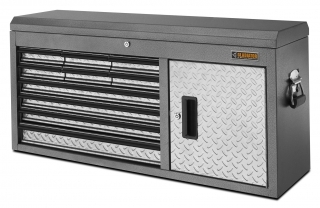 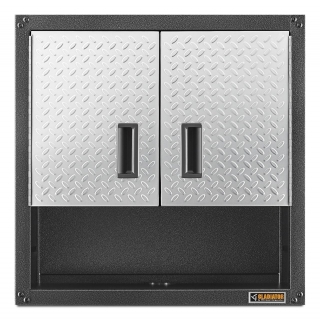 The Ready-to-Assemble Full Door Modular GearBox offers accessible storage for a variety of tools and garage gear. 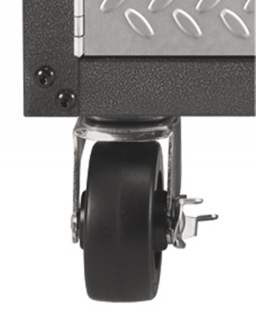 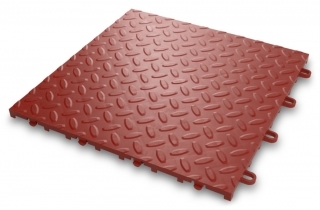 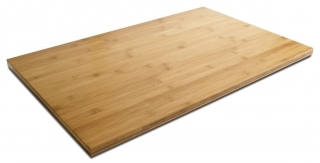 For even more versatility, add the optional Ready-to-Assemble Caster Kit or 71cm (28“) Hardwood Work Top. 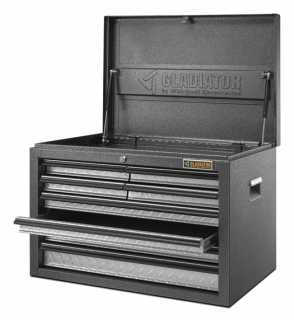 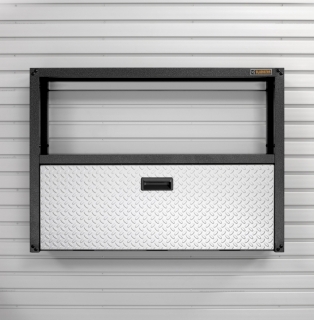 Like many Gladiator® products, this cabinet is backed by a 10-year limited warranty.